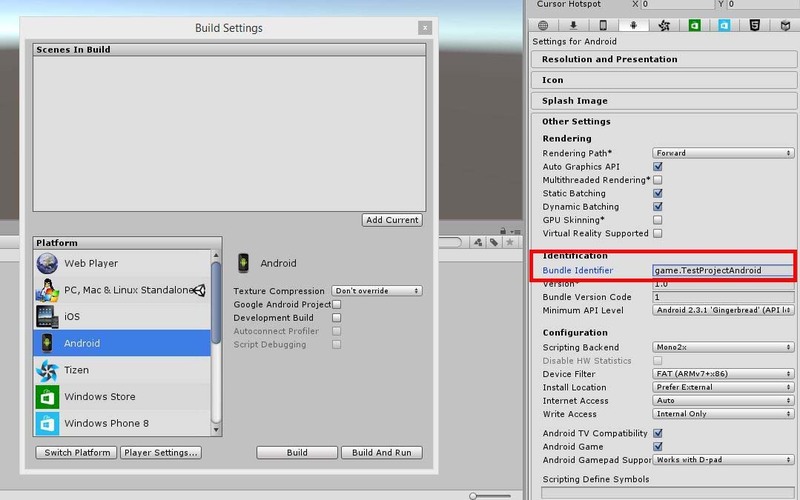 Prerequisite: Set up your environment for Android development. Make sure to EXTRACT the zip file! 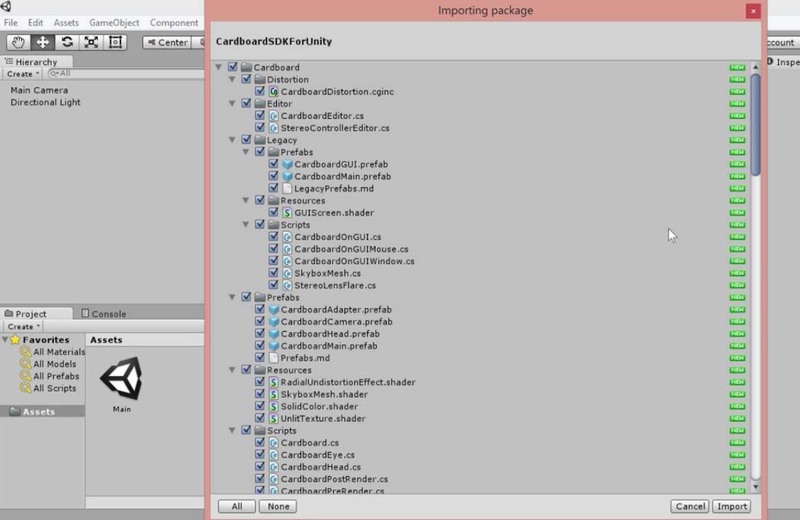 STEP 2 – LAUNCH UNITY and input the paths of your Android SDK and JDK (Java SE Development Kit) so Unity can find these kits easily. 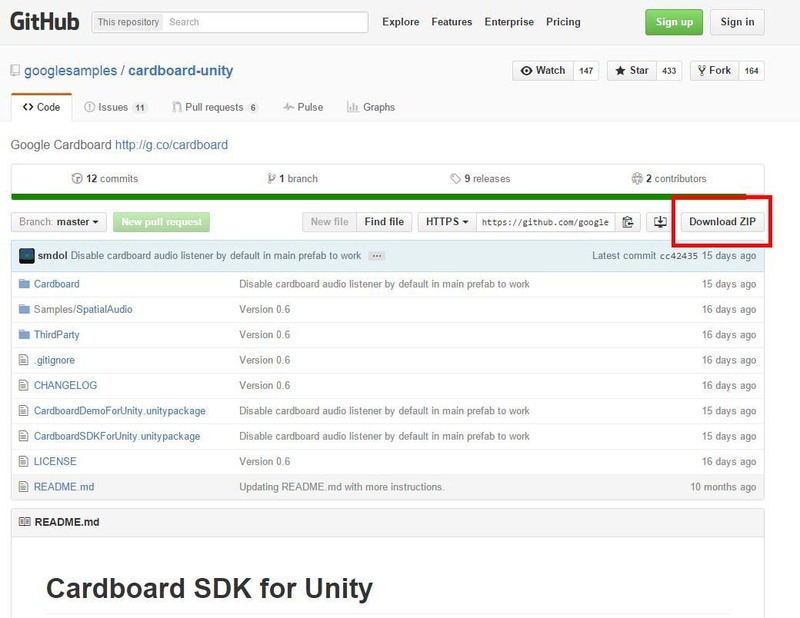 STEP 3 – Import the Cardboard SDK for Unity as a custom package. 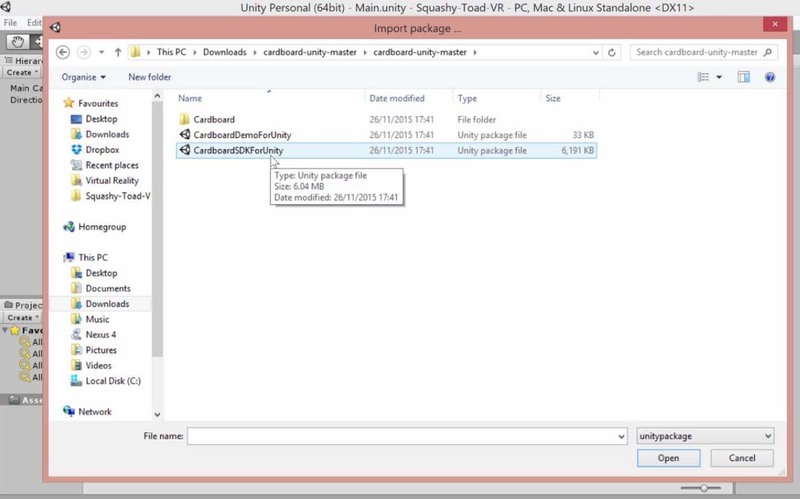 The “CardboardSDKForUnity” package is located within the “cardboard-unity-master” folder. Important all components – don’t uncheck any boxes. Click on “Player Settings” in the Build Settings panel. 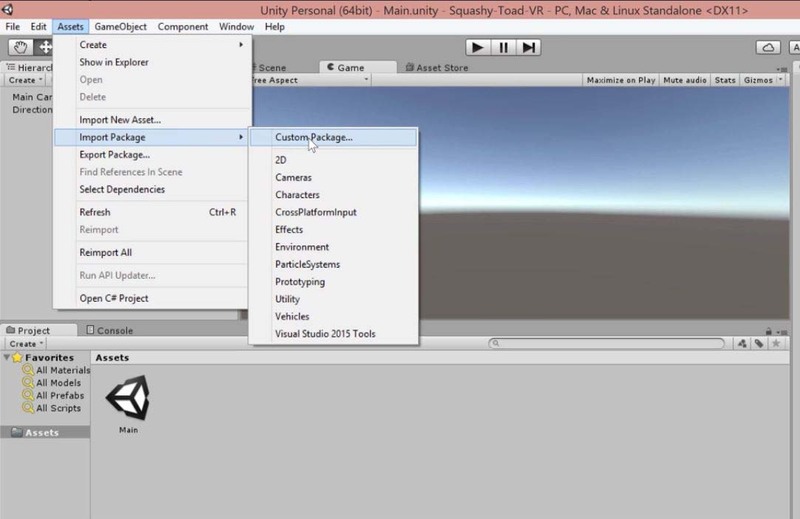 STEP 5 – Create a new folder in your Unity project and call it “Build.” Now, you’re ready to build! 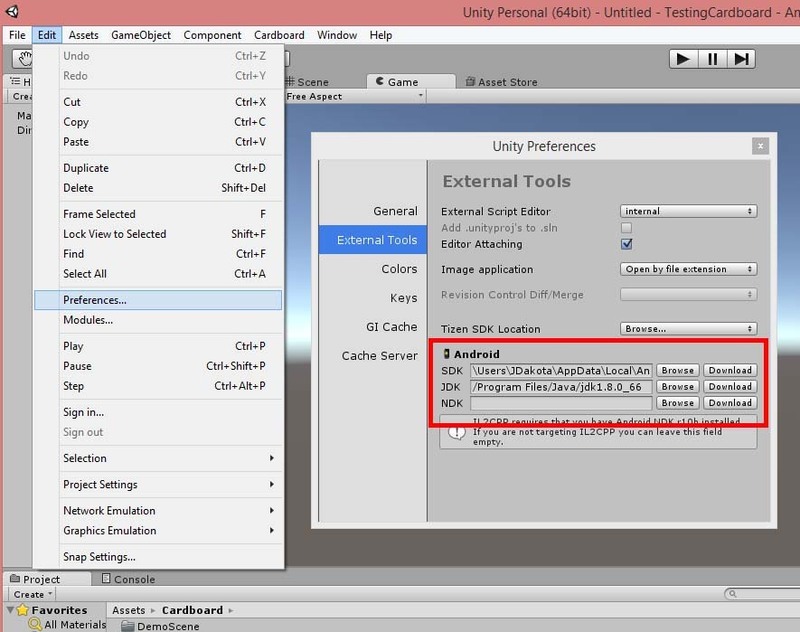 Click on “Build” on the Build Settings panel. A panel will pop up, prompting you to save your file as an apk (Android Package Kit). 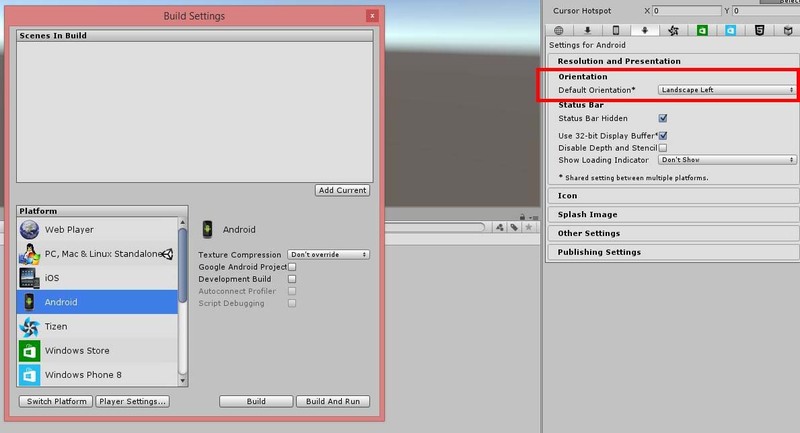 STEP 6 – Copy the TestProjectAndroid.apk from your Unity project to your phone’s storage. Note: Your phone must be connected to your computer via USB cable. Note: If you don’t see your phone on your computer, check to see if you have installed the USB Driver for Windows. Click on the “TestProjectAndroid” apk on your phone. A panel will pop up, prompting you to use the “Package installer” to install the apk. Look for the green Android logo-bot! Wait for the app to install. 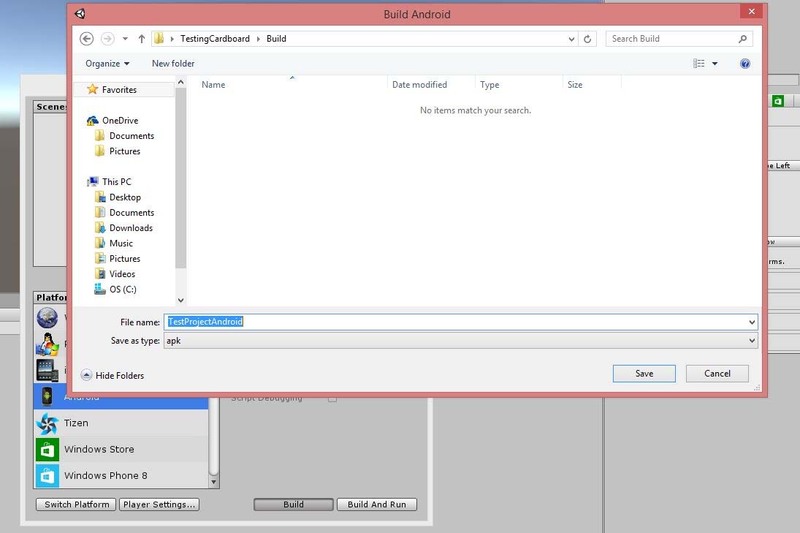 Once completed, your TestProjectAndroid apk will appear on the phone. 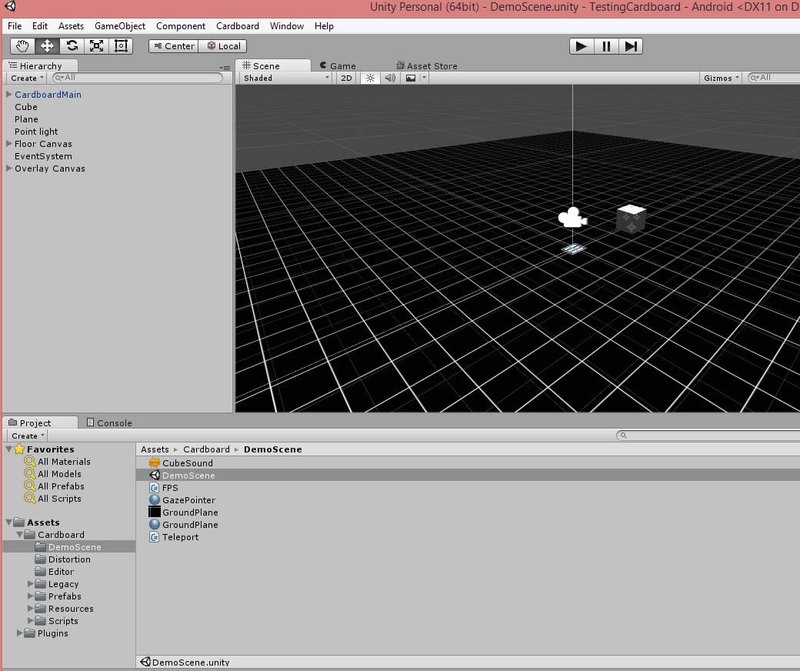 STEP 7 – Go back to Unity and load the Demo Scene into the scene view. STEP 8: Go back to Build Settings and do another build of the same TestProjectAndroid apk, but now the Cardboard DemoScene has been loaded. Click “Build”. It will prompt you to save the apk again. 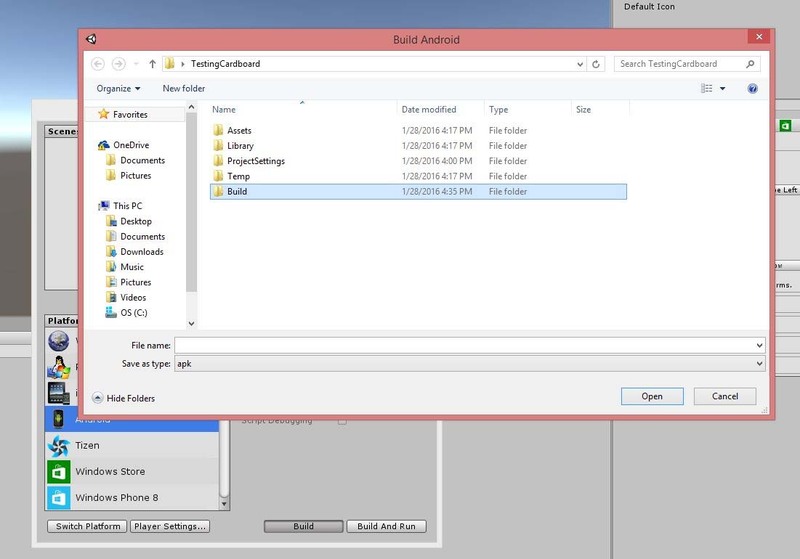 Click on the TestProjectAndroid icon on your phone again, but you should see the Demo Scene! Insert phone into Cardboard and voila!